Grosjean took part in the 2008 GP2 Asia season to prepare for his Main Series campaign – but the former went better for him. He took the title with four wins in ten races, and took ART to the teams’ title despite his team mate Stephen Jelley not scoring points. In the Main Series season, Grosjean took his first win at the fourth race, after finishing 2nd in the previous race held at Istanbul Park. His next win was at the Belgian feature race, round 9 of 10. In between, Grosjean had three weekends where he did not score in either race, plus a 5th place at Silverstone, a 2nd and a 4th at the Hockenheimring, a pole (his first) at the Hungaroring and a third place in Valencia. He then scored a 4th and a 3rd place at the season finale in Monza, but he was only 4th in the championship after a mixed season. In 2009, Grosjean switched to Addax for the championship assault. He scored pole, fastest lap and win in the season’s first two feature races at Catalunya and Monaco, and also finished second in the sprint race at the Spanish track. He failed to score in the following three races, then took pole at Silverstone, where he could only manage to finish 5th and 4th, then he scored two points at the Nurburgring and three at the Hungaroring. At that point he had 45 points to Hulkenberg‘s 56, with Petrov at 41 and, di Grassi at 40, and we were about to have a fantastic end to the season. 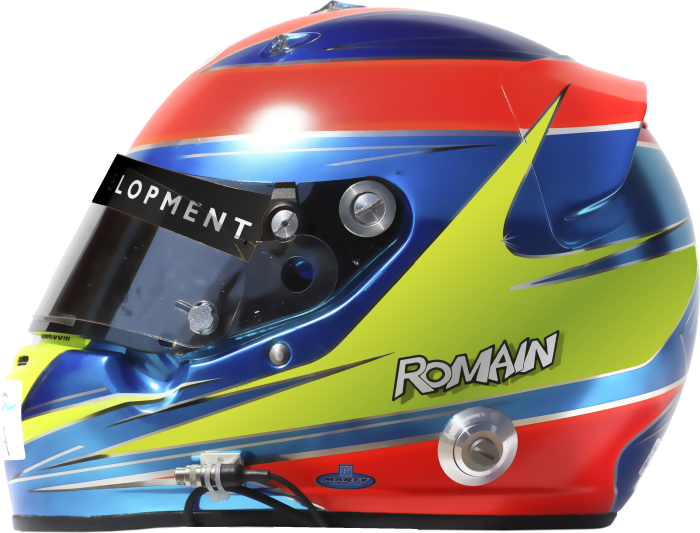 Grosjean, however, was not part of it as he was drafted in by Renault to replace the underperforming Nelson Piquet Jr. Eventually Hulkenberg won the title for Grosjean’s former team, with 25% more points than the runner-up. After a poor début in Formula 1, Grosjean contemplated retirement, but halfway-through the 2010 season he was called-up by DAMS to replace Renault test driver Jerome d’Ambrosio for the German round. As Ho-Pin Tung was injured during the Hungarian round, Grosjean stood in as a replacement for the other DAMS driver, and immediately scored a 3rd and a 6th place at Spa-Francorchamps, whilst Tung had never scored thus far: indeed, when the Chinese recovered from his injuries, Grosjean kept the seat. In Abu Dhabi Grosjean repeated the result scored at Spa but with the positions swapped, and ended the season 14th on 14 points – d’Ambrosio was 12th on 21. Grosjean remained with DAMS for another season in 2011 – and again prepared for it taking part in the shortest-ever and final GP2 Asia season. He took both poles and a hat-trick at Imola on his way to the crown ahead of fellow countryman Jules Bianchi. Grosjean won the season opener at Istanbul Park, starting from pole, but only scored the fastest lap in the sprint race. He was disqualified from the Spanish feature race for techincal infringements, and recovered 17 positions on the Sunday race to finish 9th. He was 4th and then 3rd at Monaco, and won the feature race in Valencia with the fastest lap before having to retire in race 2. At Silverstone Grosjean started a streak of six consecutive podiums and nine consecutive point-scoring finishing places. He was 4th and 3rd at the British track, then 3rd and 1st at the Nurburgring, 1st and 3rd at the Hungaroring, 3rd and 4th at Spa, and he clinched the title matematically at that point, with three races left to run. He was 3rd at Monza in race 1, but finished outside of the points on the final race day as he was hit at the start and lost his rear wing. 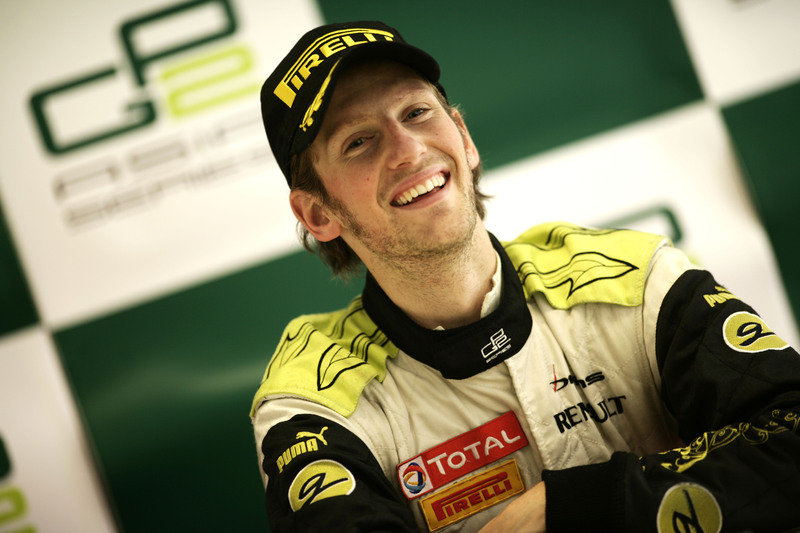 Grosjean initially graduated to Formula 1 with a GP2 Asia Series title in his pocket, as well as four Main Series wins, in mid-2009. He scored no points in his seven races and was sacked before the next season, with Vitaly Petrov taking his place. 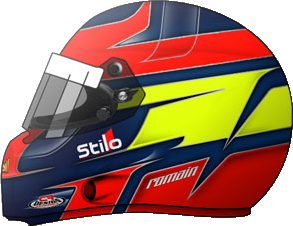 In mid-2010 he returned to be test driver for Renault F1, which coincided with his return to GP2. 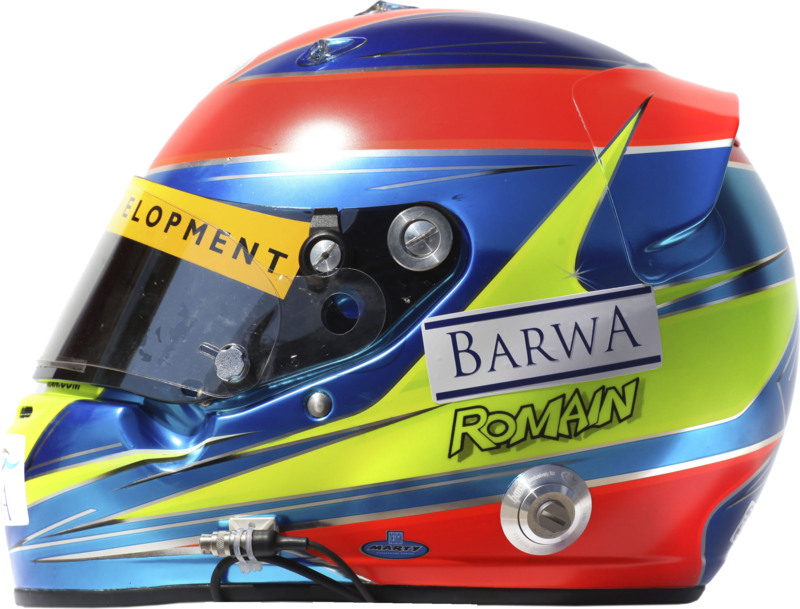 He was their test driver during 2011 and he was signed for 2012, replacing Petrov, this time with further Asia and Main Series titles to his name. In 2012 he achieved three podiums but his season was marred by a one-race ban earned after one of his many crashes of the season, precisely at Spa-Francorchamps when he forced Hamilton, Perez and Alonso into retirement. He finished the season 8th and continued with Lotus for 2013, adding six more podiums on his way to 7th in the championship. 2014 was a tough year as Renault struggled with the change from V8s to V6s, and Grosjean only scored eight points, beating his new team mate Maldonado. In 2015 he took one podium en route to 11th place, then switched to newcomers Haas for 2016, scoring a sixth and fifth places in the team’s first two races.